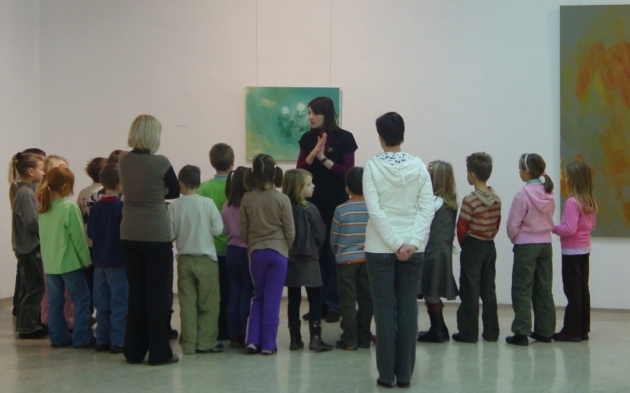 The activity starts with the current exhibition, which is followed by a short presentation of the gallery and its activities, the painters, sculptors, painting techniques and tools, art motives etc. 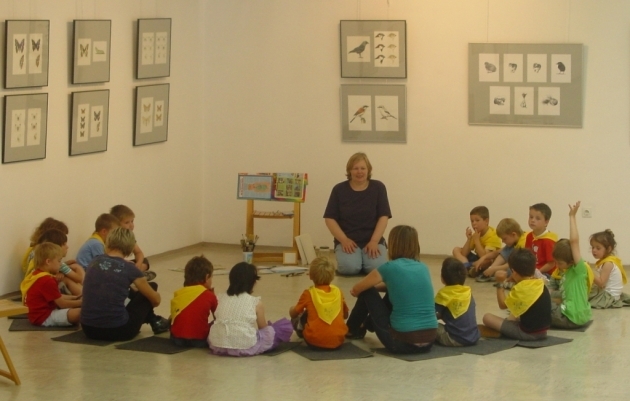 The main aim of this activity is to introduce children to art in a relaxed and entertaining manner. The goal of the expert guidance is to introduce the exhibiting artists and their work. 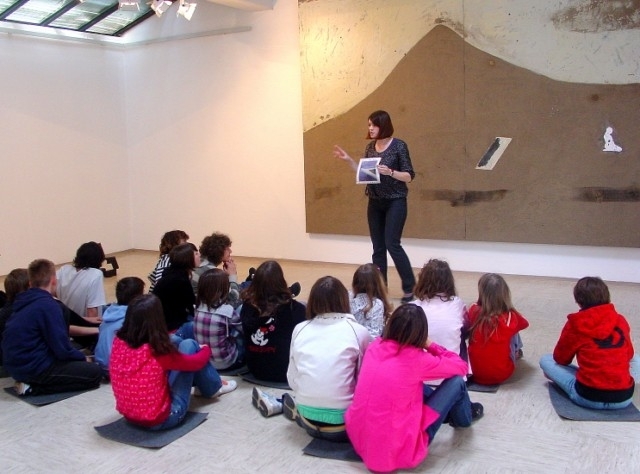 Moreover, the students get familiar with the artist’s influence on different cultures. We try to encourage the students to connect the gathered information into a meaningful whole through linking and actualization. During short, 30-45 minutes long classes, we try to introduce children to world famous art work (Leonardo’s Mona Lisa, Bernini’s sculpture of David …) and provide them with information about the artist and the period in which they were active. In order for the classes to be more detailed, we use Powerpoint presentations and suitable learning material (photos, technical literature …). 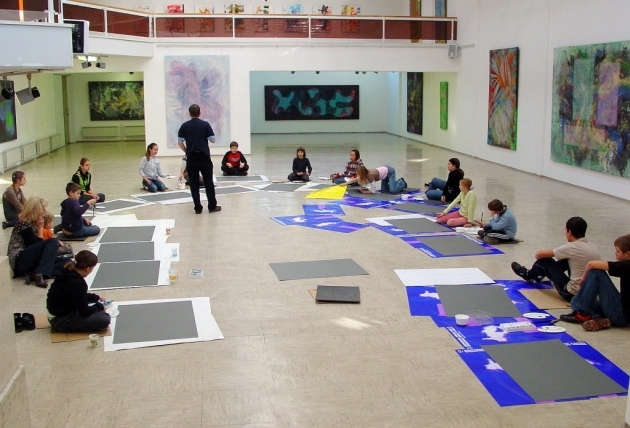 This activity starts with the current exhibition, which provides the basic concept for the art workshop. The creative part starts after the exhibition. The mentors of the workshop are recognized art teachers. We request that you reserve the date at least one week in advance.